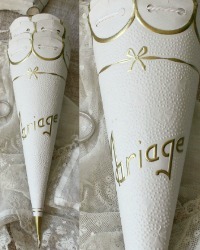 Vintage Wedding Cone used as a Wedding favor in France in the early 1920's. Made of White & Gold paper, this is old store stock from a French Candy Store. 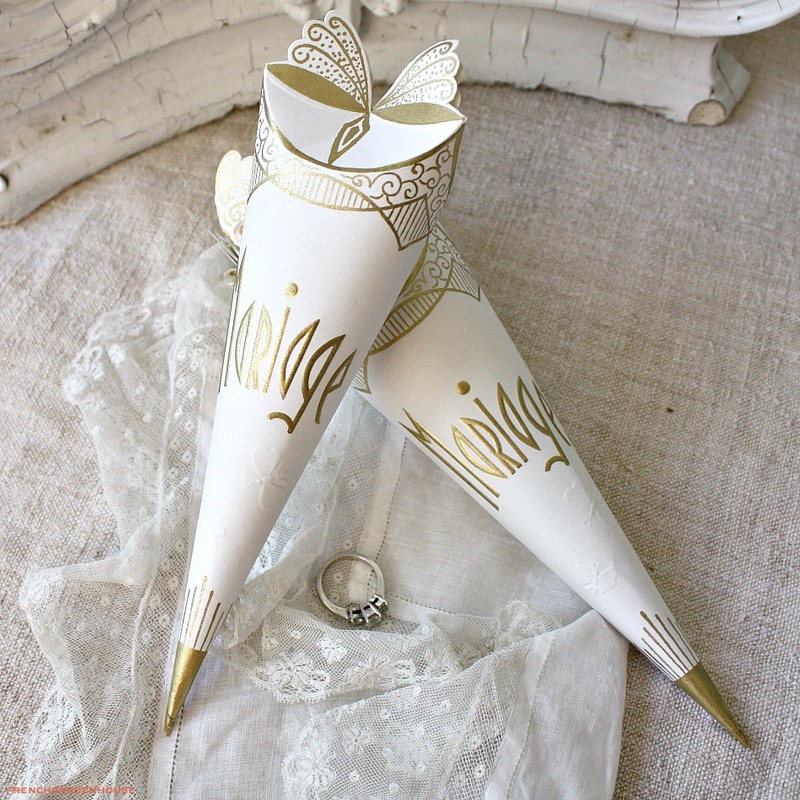 Each cone is embossed with the gilded word "Mariage", and has a stunning Art Deco Design of Butterflies, both embossed on the paper, as well as at the top closure. 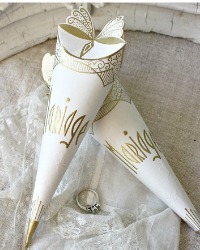 Perfect to fill with candies or a special gift, to celebrate the wedding of someone you love. A meaningful way to give a gift to bridesmaids, add these to a bridal shower gift, too. 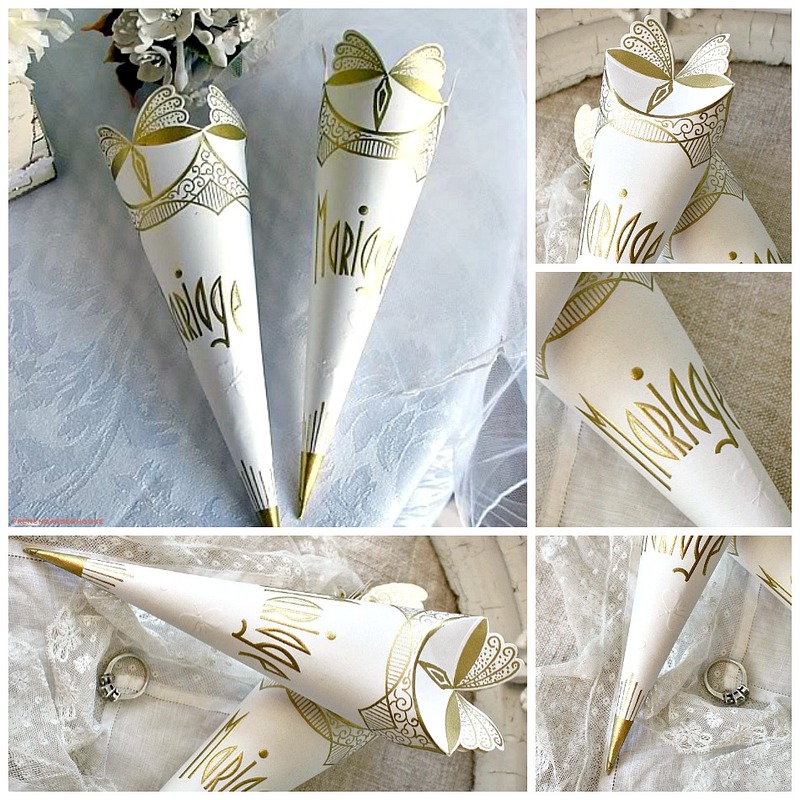 These decorative cones are in very good vintage condition. They are, however, over 90 years old, so they are not brand new, please expect a small wrinkle in the flap, or a tiny bend. Nothing that will detract from this sweet piece of French History. Measures: 8" long x 2~1/4" at the top.